Since 2001, thousands of students have attended VBI, and collectively our students have gone on to reach levels of success that no other summer institute can match. That's why VBI is trusted by coaches, parents, and debaters across the country to provide the very best in debate education. VBI alumni have won more national championships (across all events) than any other debate camp. This data does not include APDA, NPDA, Worlds, Middle School, or other debate events before 2015. The National Debate Coaches Association (NDCA) Championships 11 times. Other camps teach how to win rounds; we teach how to win championships. VBI is the only camp in the country whose alumni have closed out the Tournament of Champions in quarterfinals (i.e., all of the top 8 finishers), won every octafinals bid tournament, earned a majority of bids to the TOC, and won all four national championships in the same season. Our alumni have had unprecedented success on every kind of debate circuit. They have won hundreds of national invitationals, round robins, and state tournaments across the country. VBI's success in many different styles of debate is enabled by our individualized curriculum and diverse faculty. VBI teaches skills that foster success not only in competitive high school debate, but beyond. 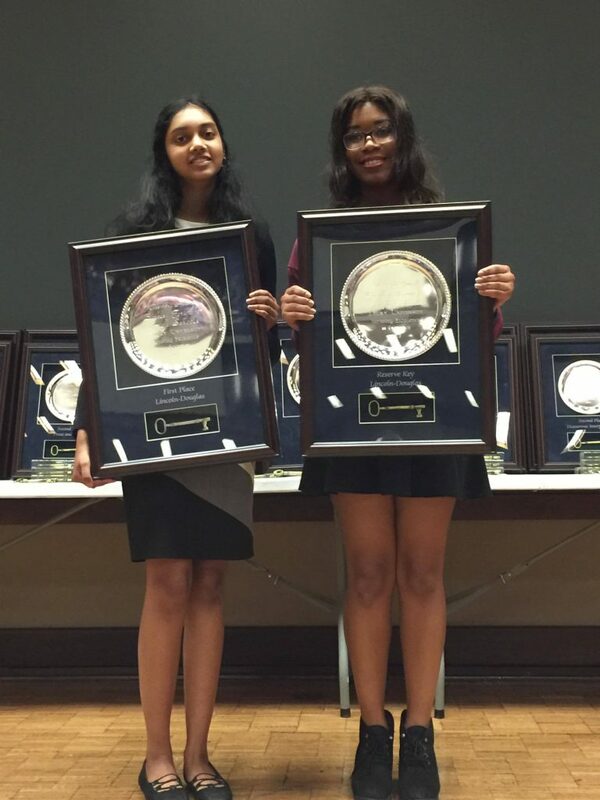 VBI alumni have gone on to win the American Parliamentary Debate Association National Championship, the World Universities Debating Championship, moot court competitions at top law schools, and multiple Rhodes and Marshall Scholarships. They have matriculated at every Ivy League university and have been named among Forbes' "30 Under 30." We could not be more proud of our alumni. As successful as our students have been over the past 17 years, things are only getting better as we continue to find new ways to push our curriculum and our students forward. VBI multi-summer alumni Maya Arora (Cape Fear, VBI '16, '17) and Sebastian Williams (Gilmour, VBI '15, '16, '17) after finals of UK's National Speech and Debate Season Opener. VBI multi-summer alumni Nina Potischman (Hunter College, NY; VBI '15, '16) and Jack Wareham (Oakwood Secondary School, CA; VBI '13, '15, '16) after finals of The Valley Mid-America Cup. More than half of debaters currently qualified to the 2018 TOC are VBI alumni. And one-third of all debaters currently qualified to the TOC have attended VBI multiple times. Debaters from 34 states attended VBI in 2017 and returned to their home circuits with not only new skills, but also new friends from all over the country. They have experienced considerable success on their local, state, and regional circuits. We love to hear how our alumni are doing, so please email us anytime. VBI alumni have earned 188 of the 362 bids to this season's Tournament of Champions—many more than any other camp.